colour, others are asking why the much pins. You what are you asking? 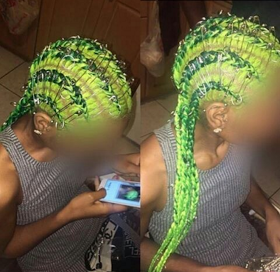 0 Response to "See The Spirogyra Hairstyle That Has Gone Viral On Social Media"